Screen shot from CBC report. We all knew it. Now we have the science to prove it. A study, published this past Monday by the Proceedings of the National Academy of Sciences, concluded that the level of toxic hydrocarbons in lakes surrounding the Alberta Tar Sands were 2-and-a-half to 23 times higher than they were before the mining operations began. The study was done by some of Canada’s top scientists and funded by the federal government. Click here to see as a clip from CBC’s The National about the study. The researchers used core samples of mud from the lakes in order to compare past levels of contaminants (dating back to 1880) to what is found today. 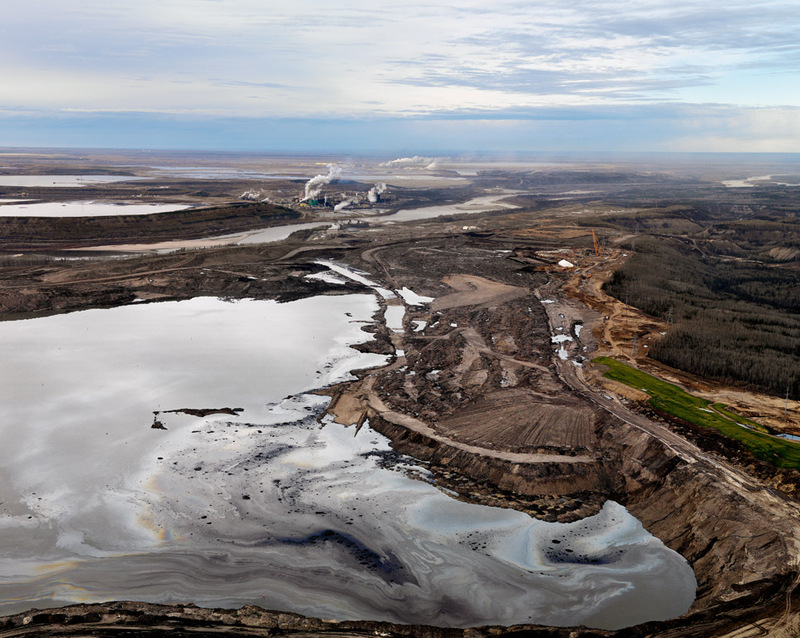 The chemical makeup and the timing of the appearance of pollutants points to the Tar Sands. This shows very conclusively that at least in the lakes we looked at, we cannot see any way we can attribute this to natural causes. (That debate’s) completely over. If there was still a coffin to be nailed, I think this is kind of putting in a lot of nails in the coffin. Tailings ponds in Northern Alberta. Expect more of these as Tar Sands production doubles by 2025. The pollutants studied were polycyclic aromatic hydrocarbons (PAHs), a group of dangerous chemicals, some of which are known to cause cancer. Even in a lake 90 km from the mining sites, levels of PAHs were 3.5 times higher than normal. Although the levels of toxins are still relatively low when compared to what is found at the site of mining, more than half of the chemicals studied are at high enough concentrations to have ecological effects. The recent changes under the (federal) omnibus bill to facilitate these developments are not going help. We’ve made it a lot easier for development to take place. And keep in mind that only PAHs were studied. We have yet to know the Tar Sands impacts on other dangerous contaminants such as heavy metals, soot and mercury. I fear I’ve done a poor job writing about the Idle No More movement on this blog. Fortunately, I have some friends that are doing it for me 🙂 Please read the following post from 350orbust. As I write this, Chief Theresa Spence of Attawapiskat Cree First Nation has been fasting for 28 days as she awaits a meeting with Canadian Prime Minister Stephen Harper. Last week, without acknowledging Chief Spence or the growing Idle No More movement, Mr Harper agreed to a meeting with Canadian First Nations leaders on January 11. 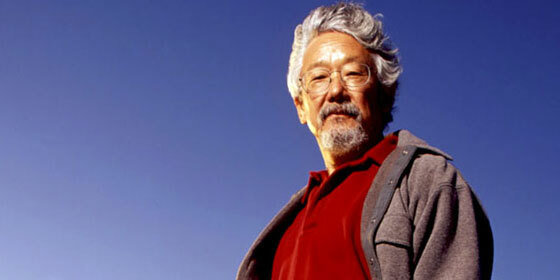 The following was written by David Suzuki and was sent to subscribers of the David Suzuki Foundation’s Science Matters newsletter. I thought I’d share it with all of you. They urged world leaders to reduce greenhouse gas emissions by 20 per cent by 2005. Had we heeded that warning and embarked on a campaign to meet the target, Canadians would now be healthier (because of reduced air pollution), have greater reserves of energy and more jobs. We’d also be a world leader in renewable energy and could have saved tens of billions of dollars. In 1988, the environment was a top public concern, scientists spoke out and politicians said the right things. Global warming was a pressing and present issue. Now, 25 years later, carbon dioxide emissions continue to rise, and we’re already seeing the consequences — more extreme weather events, melting glaciers and Arctic ice, rising sea levels, reduced water flows in rivers and climate-related illness and death, among others. It’s driven in part by rapid economic growth in countries like China, India and Brazil. At the same time, most industrialized nations, whose use of fossil fuels created the problem of excess greenhouse gases, have done little to reduce emissions. Humans are distinguished from other species by a massive brain that enables us to imagine a future and influence it by what we do in the present. By using experience, knowledge and insight, our ancestors recognized they could anticipate dangers and opportunities and take steps to exploit advantages and avoid hazards. Scientists and supercomputers have amplified our ability to look ahead. For decades, experts have warned us that human numbers, technology, hyper-consumption and a global economy are altering the chemical, geological and biological properties of the biosphere. The document concluded that environmentally damaging activity must be brought under control and the integrity of Earth’s ecosystems protected, critical resources managed more effectively, human population growth stabilized, poverty reduced and eventually eliminated, and sexual equality and guarantees of women’s reproductive rights ensured. The sooner we act, the easier it will be to overcome these difficult challenges. Every year that we stall makes it more costly and challenging, with increasing negative impacts on humans and our environment. There are signs of hope. Many countries — as well as cities, states and provinces — are taking global warming seriously and are working to reduce emissions and shift to cleaner energy sources. Some world leaders are even questioning our current paradigm, where the economy is made a priority above all else. This is crucial. Over and over, the economy has determined the extent of our response, but how much value does it place on breathable air, drinkable water, edible food and stable weather and climate? Surely the economy is the means to a better future, not an end in itself. Surely it must be subordinate to a rich, diverse ecosphere that sustains all life. Let’s hope this year ushers in a new way of living on and caring for our planet. Where is the Moral Outrage for our Inaction Regarding Climate Change? However, as I watched the video, I couldn’t help but think that they could just as easily have been talking about climate change. Imagine if, at the beginning of the ad, it was a list of extreme and deadly weather events that occurred over the past few years. Hurricane Sandy in the US. The heat wave in Russia. Flooding in Australia. Flooding in Pakistan. Typhoon Bopha in the Philippines. The rest of the ad would still make sense. Enough. Enough. Enough. Demand a plan. Right now. As a mom. As a dad. As a friend. As a husband. As a wife. As an American. As a human being… It’s not too soon. It’s too late. Now is the time. Before we all know someone who loves someone on that list… No more “If we had just done something yesterday”. It’s time. We can do better than this. It’s time for our leaders to act. Demand a plan. Right now. YOU! DEMAND IT! Don’t get me wrong. I am not trying to downplay the severity of gun violence or the troubling nature of a man walking into an elementary school and shooting small children. And I am not trying to minimize the necessity of addressing the cause of gun violence. However, the threats posed by climate change are already so much greater. We are already losing 400,000 people a year to the impacts of climate change. Communities around the world have to make decisions about where they will live in the next decade because their homes are being overwhelmed by rising seas. And looking into the future, the warming of planet could lead to more conflict (read: war) over basics like potable water and access to agricultural land. Hundreds of millions of people are projected to become climate refugees either because of the permanent flooding of their homes, the lack of access to water or the spread of disease. And, to make matters worse, we are already seeing that past models and projections were very conservative – scientists believe that climate change is even worse than we thought. We are running out of time to stabilize our changing climate. We are running out of time to protect future generations, in every nation, from the worse consequences of a warming planet. And yet, where are the actors pleading for action? Where are the national leaders going on TV, reminding us of our responsibilities as a society and vowing to address the problem? Where is the moral outrage for our inaction regarding climate change? Turns out that Discover‘s number 4 story of 2012 is “Earth Goes to Extremes” and it highlights ten extreme climactic events that made 2012 a year of “costly and destabilizing environmental disasters”. The map below shows the locations of the events, which are described further down. 1. Canada and United States: Oyster Die-Off. In commercial hatcheries of the Pacific Northwest, more than 80% of oyster larvae are not surviving. The cause: ocean acidification, partly driven by increased carbon dioxide concentration in the atmosphere. 2. United States: Heat Wave. Extreme heat helped trigger droughts (affecting 80% of the country), wildfires (that incinerated 9 million acres) and severe thunderstorms. Arctic sea ice minimum in 2012. Image: National Geographic. 5. Greenland: Glacier Melt. In July, NASA satellite images showed that more than 90% of the ice surface over Greenland was melting – the most melting since satellite tracking began in 1979. Greenland melting in 2012. Image: CBC. Areal view of Lokoja. Photo: Allafrica.com. 7. India: Drought. Droughts throughout the country were caused by the absence of summer monsoons. Water shortages at hydroelectric power plants caused the largest blackout in history, affecting 1,2 billion people. 8. China: Flooding. Torrential rains from May through July triggered floods and landslides that affected at least 38 million people (!) and led to the evacuation of 1.3 million residents. Economic losses topped 6 billion dollars, 1 million acres of farmland were destroyed and there were shortages of clean drinking water. 9. Australia: Flooding. Heavy monsoons, due to an unusually intense La Nina, caused sever flooding in eastern Australia in the months of February and March. 10. Great Barrier Reef: Coral Loss. “The Great Barrier Reef system has lost more than half its coral cover in the past 27 years.” The causes are the rapid growth of coral eating starfish, intense storms and coral bleaching caused by the warming of oceans. Coral on Australia’s Great Barrier Reef suffering from bleaching. Photo: Reuters. A picture is worth a thousand words. Here is what the extraction of natural gas is doing to natural ecosystems. A new analysis from the U.S. Geological Survey (USGS) of two counties in Pennsylvania found that natural gas extraction creates “potentially serious patterns of disturbance on the landscape.” Wellpads, roads, pipelines and waste pits are clearcuts in forests. Cumulatively they are very destructive to the natural ecosystem.